Children need and deserve a relationship with each parent, even when the parents are separated or divorced. When parents continue the conflict after the separation and/or divorce, it’s very difficult for children and they suffer developmental and emotional consequences as a result of their parent’s continued conflict. 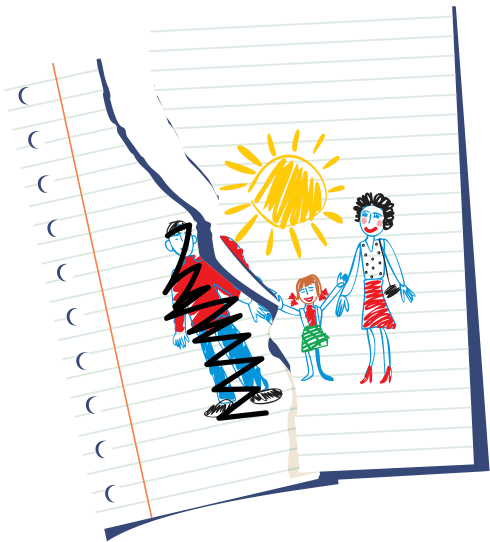 Resetting the Family is here to help parents and children adjust, transition, and create a new family model when there is a separation or divorce. Through either an intensive educational co-parenting course or an intensive educational co-parenting + mild alienation course, Resetting the Family will teach parents and children the skills needed to move into the future with healthier parent-parent and parent-child relationships. Resetting the Family is a series of co-parenting educational programs designed to help parents learn to coexist and co-parent together for the benefit of the child. When parents cannot co-parent well, the child suffers developmentally, psychologically, and emotionally. The negative effects of poor co-parenting can continue to plague the child into adolescence and adulthood. In some families, alienation is a factor and Resetting the Family provides a series of educational programs designed to reduce the negative effects of parental alienation on the child. Both parents learn new parenting skills and better responses to each other in order to improve the child’s outcome and adjustment. At the child level, the program teaches the child the important cognitive skills and problem-solving skills necessary for the child to recover from the negative effects of parental alienation, as well as how to better withstand any future parental alienation attempts. Submit your Interest Form to get started. Pay the fee and schedule an Intake Evaluation for your family. Attend the Intake Evaluation to determine the best program for you and/or your family (a one day or two day Intensive Program). Schedule the one day or two day Intensive Program. Attend either the one day or two day Intensive Program (separate program for parents and children). Schedule a half day 'Refresher' course after completion of the one day or two day Intensive Program (separate for parent and child). Attend the half day 'Refresher' course.